Tez App Scratch Cards Trick:- Google has already provided the best UPI app Tez to support the Digital Transactions in India. Tez app has already provided the various Refer and Earn scheme, Send money to your friends or anyone via UPI transactions and get Scratch Cards to earn Random amount of Money. But in this "Tez App Scratch Cards trick" we are going to share an unlimited trick to get Scratch Cards of Tez app without sending any money to your friends. Tez app scratch cards trick is based on Requesting Money from others UPI apps using the UPI address of Tez app. So you can request money to yourself if you don't ask out form your friends or you don't want to send money to your friends or anyone else in order to get Tez Scratch Cards to try your luck with their Weekly Scratch Cards. It's good to be cautious if your sent money never reverted back to you. So it's better idea to choose this tez unlimited trick to get scratch cards by using various UPIs. We have encountered the bug in Tez UPI app to get the scratch cards without sending money to your best buddies. However, you can send money to yourself by using Tez App UPI scratch cards trick.You can use any other UPI apps such as Phonepe, Paytm etc to generate UPI addresses. In this Tez App Scratch Cards trick you have to request money from other UPI addresses of Paytm , Phonepe etc to your Tez App UPI address. After creating UPI addresses on Paytm or Phonepe. Request money of 150 Rs. to your Tez UPI address from other UPI addresses. By using Google Tez Scratch Cards trick you can get all those 5 weekly cards for you. 2. Open Tez UPI App and Login/Sign Up. 3. 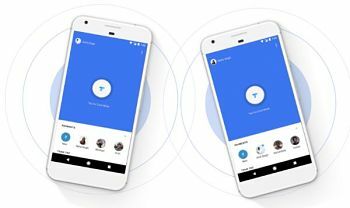 After that Copy your Tez UPI Address by navigating to Settings> UPI ID, Minimize Google Tez App. 5. Now Login/Sign Up in to your Phonepe app. 6. Create new UPI address in Phonepe (Or use your existing UPI address of Phonepe). 7. After that request 150 Rs or above from Phonepe UPI to Tez UPI address. 8. Go to tez app and click on "Proceed" option to pay on the requested UPI address of Phonepe. 9. Done ! After Successfully Paying on your requested UPI, you'll get the Tez app scratch Cards. 10. Repeat the same steps again in order to get more Tez UPI Scratch Cards. Note:- In a day you can create only 3 UPI address on Phonepe. After that you can use Paytm UPI to get scratch cards from Tez app by requesting through Paytm UPI. So this is the trick to get scratch cards from Tez UPI App by using Phonepe or Paytm UPI addresses. Without sending money to anyone else. Which means you can send money to yourself through UPI request on Tez apps using different UPI addresses.